Legos are one of our favorite activities. There really is no end to the possibilities. My kids love to make buildings, create new worlds, cars, animals, you name it they have created it. They can make anything their little hearts desire. It is a great way to challenge their creativity. Recently, I read an article about open-ended play and invitations to play. It is a great way to reintroduce old toys, show new ways of playing with toys, and allows the child(ren) to try something they may not have considered trying before. I decided to try using the invitation to play concept and give my kids an idea for how to use their Legos in a different way. Self Portraits. I found this idea on Pinterest and I couldn’t help but think of how fun and unique it would be. The kids always try to build THINGS with their Legos. I am not sure they ever considered building an art project starring themselves. Give it a try and see what beautiful creations your kids come up with. 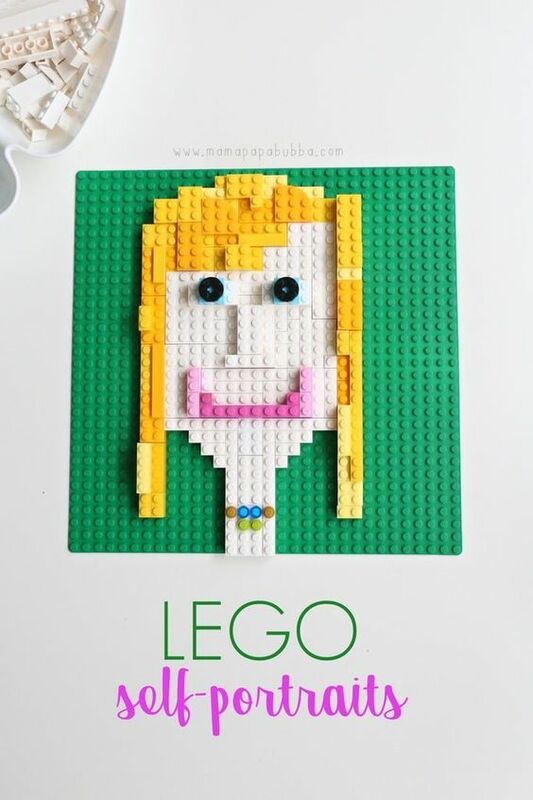 This lego creativity idea, might surprise you with how they see themselves. This entry was posted in Activities and tagged Activities, design, DIY, fun, lego activities, lego building on March 16, 2019 by Lacy.